The Motorola Atrix HD sports 8MP rear camera with autofocus, LED flash, Geo-tagging, image stabilization and has a 1.3MP front-facing camera. It comes with a standard Li-Ion 1780 mAh battery. It has a dimension of 133.5 x 69.9 x 8.4 mm and weighs 140gms. Connectivity options of Motorola Atrix HD includes microHDMI port, Wi-Fi 802.11 a/b/g/n, Wi-Fi hotspot, GPS with A-GPS, Bluetooth v4.0 with A2DP, LE, EDR and microUSB v2.0. Sensor options includes Accelerometer, proximity, compass. 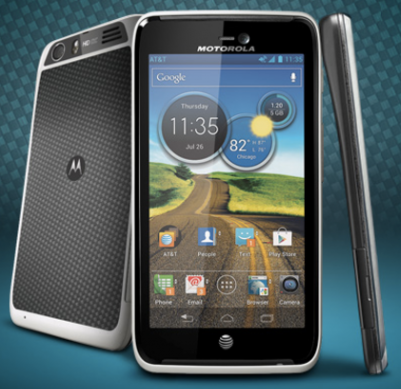 The Motorola Atrix HD comes with a price tag of $99.99 on contract and available via online @ AT&T in US. 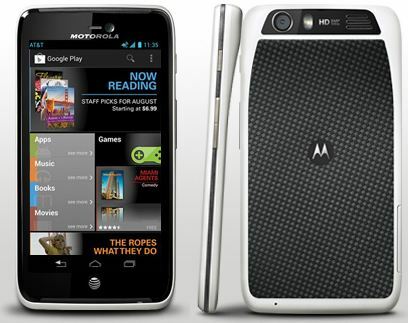 Tags:Motorola Atrix HD, Motorola Atrix HD features, Motorola Atrix HD specifications, Motorola Atrix HD review, Motorola Atrix HD details, Motorola Atrix HD availability, Motorola Atrix HD specs, Motorola Atrix HD images, Motorola Atrix HD pics, Motorola Atrix HD pictures, Motorola Atrix HD price.